We now can also accept Debit cards, Credit cards or good ol fashion cashola. Any chance you could make a standard dining bench table without the wooden planks, ie with just one large single plank of wood for the table top? The kind you would find at freedom? I live next door so its pretty good to get one off you. Sure that wouldn’t be a problem at all. Do you want benches to go along with it? What kind of finish are you looking for? You can always come by and have a chat too. I will email you as well. 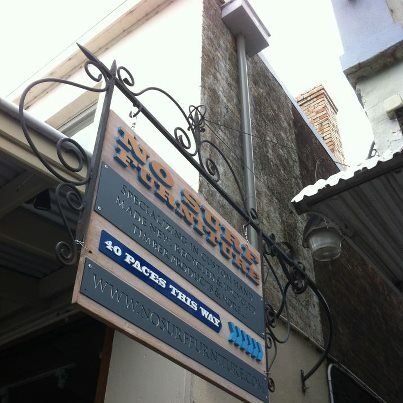 You are more then welcome to come by North Bondi during the mornings and on the weekends. If you are still interested we will get in touch with you. Do you make any furniture in Melbourne? I see you have a contact number/location for Fitzroy. Yes we have just opened up a shop in Melbourne. What are you interested in? You can contact me directly at 0404683391 or nosurffurniture@gmail.com with any further questions. Hi Dave, was looking at your website today, found your add on the gumtree, your furniture is stunning. We live in Newport Melbourne, and were looking for an outdoor seeting (table and two bench seats) to seat 10 people, can you please also provide a price for the 8 seater sets too. We liked the look of the chocolate Thunder setting or the Nordic 2K, could you please advise how much this would cost and if you can arrange delivery and how much that would cost too. Thanks for your inquiry. I have replied to your personal email that you sent for the details of your quote. Please let me know that you have received it. My friend Katherine purchased the Bronte Chic table set from you and she’s sooo happy with it! Just wondering whether you make any other type of furniture? I need a drawer set with 3 really deep wooden drawers to fit a specific space in my bedroom – would you guys be able to create it?